WEFTEC 2017 - Aquarius Technologies, LLC. 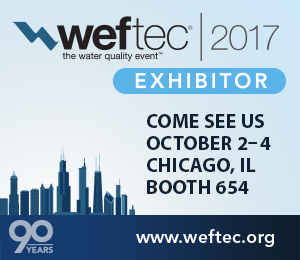 Weftec 2017 is fast approaching and we look forward to seeing all of you at the show! Visit us at Booth #654. We understand competition for your time is fierce, so we anticipate getting to talk with you about Performance – Quality – Reliability and Service for your next Quantaer™ Fine Bubble Aeration System or Nebula™ MultiStage Biofilm System.